Spring 2015 at Koyama Press brings metaphysical men in tights, the return of bad-boy blobs, the weaponization of cute through art, and fun and philosophizing diary comics. It is a diverse and variegated variety of comics and art—just the way we like it! Sci-fi superheroes eschew Gotham and Metropolis in favor of nightmarish neoclassical ruins in this surreal strip. 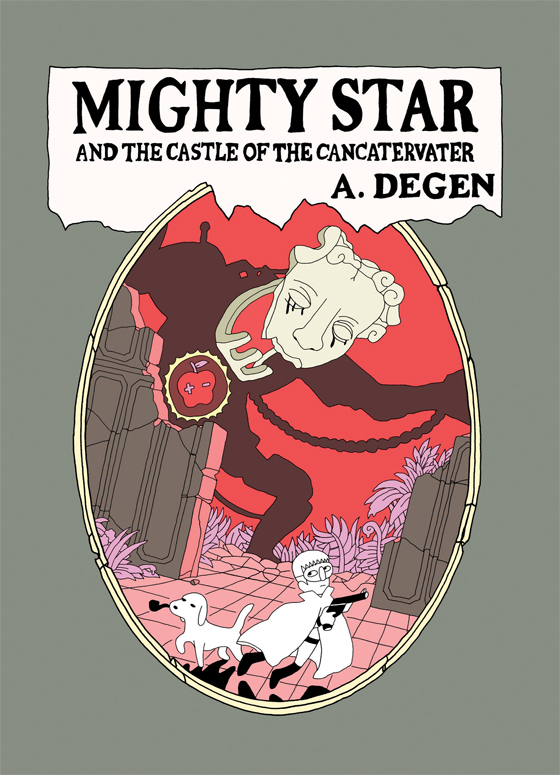 A. Degen has taken the superhero myth and put it in a baroque blender; the result is the cerebral, sensuous and uncanny Mighty Star and the Castle of the Cancatervater. Equal parts Dalí and Astro Boy, Degen’s mostly silent narrative is both metaphysical and mighty. A. DEGEN was born in Brooklyn, New York. After a time in Tokyo, he now lives and works in Connecticut. He is the author of the books Area CC (Snakebomb, 2011) and Soft X- Ray/Mindhunters (Astroplus/Future Shock, 2013), and his work has appeared in a number of anthologies. Imagine The Teenage Mutant Ninja Turtles as pot-smoking punks. The Blobby Boys are back and they’ve got acid tongues and acid on their tongues. The salacious and slimy Saturday Morning cast-offs haven’t lost an iota of edge. In fact, the only thing sharper than the comedy in this book just might be the boys’ switchblades. ALEX SCHUBERT was born in Mascoutah, IL and is based In Los Angeles, CA where he works in illustration and animation. 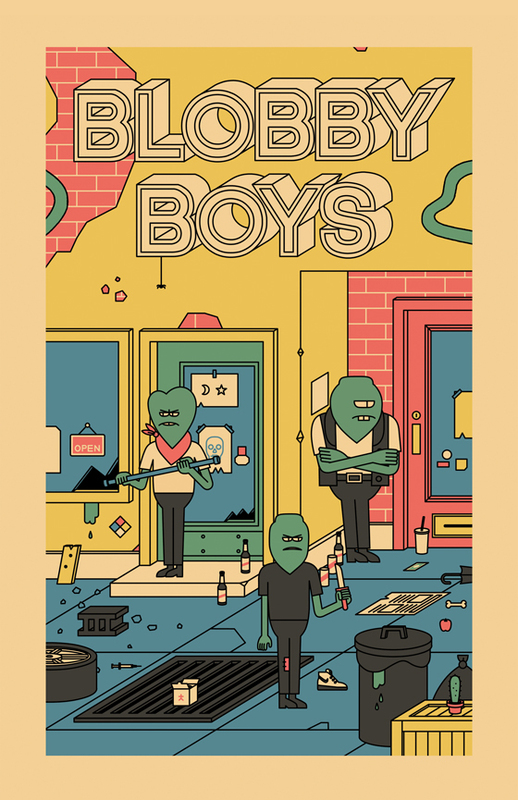 In 2014, the first collection of Blobby Boys was awarded a Silver Medal in the Long Form and Comic Strip category of The Society of Illustrators first Comic and Cartoon Art Annual. A colorful celebration of cartoons, creativity and the culture of cute. 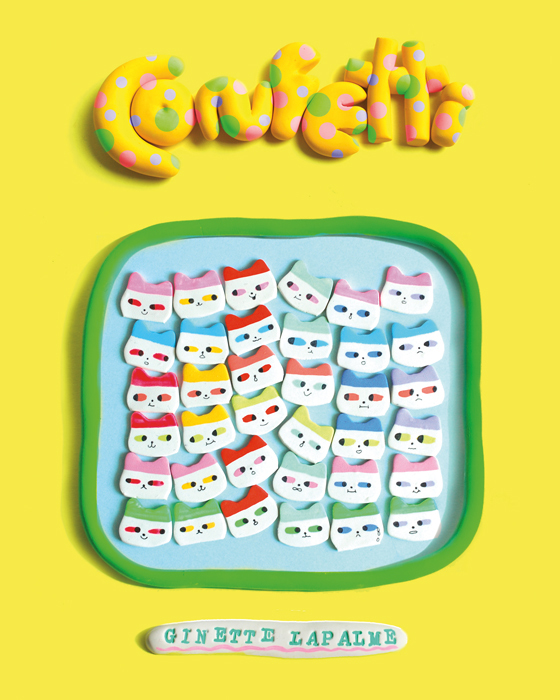 Confetti, like its namesake, is a fun and explosive mix of color from the fertile mind of multidisciplinary artist Ginette Lapalme. In comics, paintings, prints, sculpture, and jewelry, Lapalme uses cartoons and junk culture as raw material to make “cute” subversive and “pretty” punk. GINETTE LAPALME is a Toronto-based illustrator and artist. Lapalme is a graduate of the storied OCADU Illustration program, and is one third of Wowee Zonk, a Toronto-based illustrator collective and contemporary comic book anthology. Comic and tragicomic, heartfelt and heartbreaking; these are the panels that make up a life. 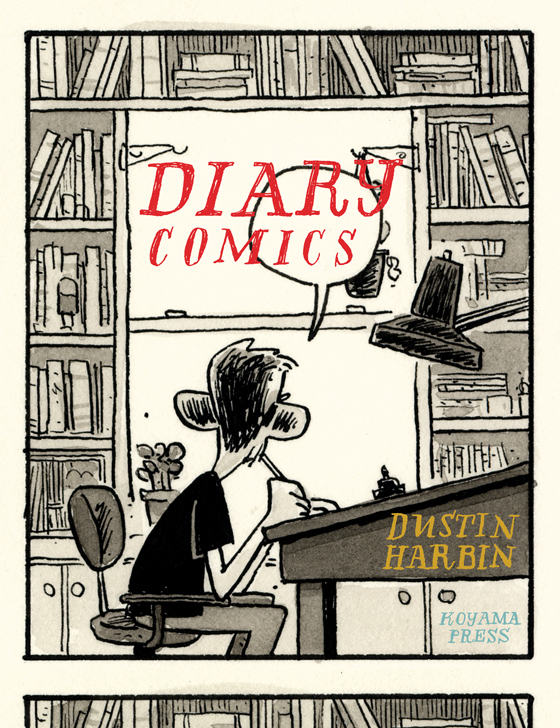 Since 2010, Dustin Harbin has been sporadically documenting the ups and downs and sideways of his life in comic form. From their humble beginnings as a sketchbook exercise documenting the quotidian, oftentimes with hilarious results, Harbin’s Diary Comics have grown into quirky existential examinations of life and living. DUSTIN HARBIN is a cartoonist and illustrator who lives and works in North Carolina. He’s best known for his autobiographical comics, as well as many, many illustrations of people and animals, often mixed and matched.